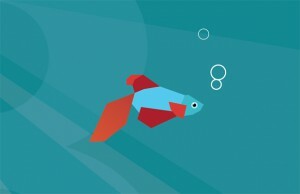 Windows 8: Trying to be Everything to Everyone? 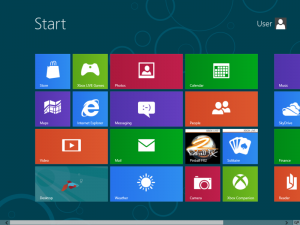 Last night, I finally downloaded and checked out the Windows 8 Consumer Preview in a virtual machine. I’ve been interested to see where Microsoft’s heading with Metro UI integration and was pretty pumped to grease the wheels. I wasn’t irrecoverably disappointed, but I wasn’t blown out of the water. The experience between a desktop and a tablet isn’t the same, and I think Windows 8 is trying to be everything to every device. It might have partially been the performance of the virtual machine I was running, but some of the gestures (dragging down from the top of the screen, exiting Metro apps, etc.) just weren’t intuitive with a mouse and keyboard. And yeah, you can switch back to Windows Explorer, but switching between two completely different modes shouldn’t even be necessary. Much more conducive for touch instead of click. I guess this comes down to the philosophy of differences in hardware – I’m not sold on the model of having one operating system for desktop and tablet. This is where I think Apple got it right with the breakdown between iOS and OS X. It’s a seamless enough experience, but they’re also different enough. And yes, the gap between those differences eventually needs to narrow, but the release cycle is doing that incrementally, not all at once. That said, I’m excited about the potential for Windows 8 on a tablet. I’ve never used it on a tablet yet, but I can see things making a lot more sense in that form factor. I like Metro UI and I like Microsoft’s intentions, I just think they need to draw the line between desktop and tablet a little clearer. Thoughts? Have you used Windows 8 on a tablet before? 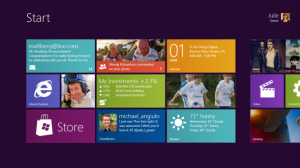 At AllThingsD’s D9 last week, Microsoft showed off a preview of Windows 8. Wow. It’s obviously a radical departure from previous versions of Windows, and is somewhat similar to what Mac OS X was to Mac OS 9. The UI is moving towards Windows Phone’s Metro UI, although the revealed screenshots of the new Start menu look more like a different implementation of Windows Media Center than an actual operating system. On the whole, I like where Microsoft’s heading. I’ve always been a fan of Metro, and even though it gives off a little bit of a bare, unfinished look, the emotional response of cleanliness is good. I’m slightly concerned that this might be too big of a change, though. I don’t want it to be. I really don’t. But it all comes down to the ability for developers to adapt. And if such a heavy emphasis is being placed on touch, hardware has to be both ready to support Windows 8 and widespread enough to make it worth the investment. That brings us to the classic Apple argument – it may be a bit stale by now, but it’s true: they control their own hardware. If they want to migrate OS X over to a touch interface, it’s much easier than Microsoft having to wait around on manufacturers to catch up. Yes, there’s a legacy mode to run apps Windows 7-style, but the end goal shouldn’t have to be dependably held up by backwards compatibility that’s used more than the new features. However, I suppose the argument could be made that by working closely with OEMs, revealing early (as they did), and forcibly delivering by a certain date, the OEMs will be forced to keep up. I certainly hope that’s the case.